Ranchi High Court has directed the Union government and Jharkhand government to explore a separate regulatory act for blood transfusion services in the state. 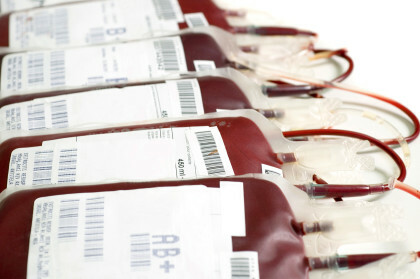 The move comes in order to regulate violations in the blood transfusion services provided by the state. The need of the special act came to the notice of the High Court after a petition discussed about the violation of transfusion services- owing to the dependency on the 75 year old drugs and cosmetics act of 1940. A writ petition for a separate act for blood transfusion services act was filed early this year, and the division bench of chief justice Virender Singh and justice PP Bhatt are reported to be hearing the case. The single petitioner and blood transfusion activist Atul Gera has implied to have said that the court has put the act to deliberation on Feb 03 after coming to terms with the fact that there is a need to put the rules and regulations for blood transfusion service in a proper framework. This observation by the court is in the purview of the national blood transfusion policy of 2002, which provisions respective states to chalk out separate acts to check violations in blood transfusion and monitor unlicensed blood banks in Jharkhand. Government advocate Rajesh Shankar told TOI, “The court was not pleased after the Center did not respond in a healthy manner. The court observed it is not a normal regulation as it concerns the poor people as well”. Besides Jharkhand government, the petition has made the union ministry of health and family welfare, the national blood transfusion council (NBTC), national aids control organization (NACO) and drug controller general of India parties. “Despite the 2002 policy, the state government monitors blood banks through the drugs and cosmetics act of 1940. This old act is insufficient to monitor and curb the malpractices,” Gera said. “This is certainly the first step for creating specific laws on blood transfusion services,” he added. During the course of hearing, the court also observed the need for deliberation on a new law by experts.